Giraffes are native to Africa, especially the sub-Saharan regions. Their distribution includes several parts of the continent but in a very fragmented way. Species and subspecies have similar habitats that include savannas, grasslands, and open forests. Giraffes will move to where they need to to find food. Some people might assume that since giraffes feed on leaves high in trees, they would thrive better in thick and plentiful forests. However, this wouldn’t be good for them due to their height as they need space to maneuver. The home range for a giraffe is between 8 and 50 square miles. While these areas of habitat often overlap with other groups, they will get along just fine with that, as they do not show territorial behavior. A common problem though is that their natural habitat continues to be shrinking due to human activities, resulting in a smaller home range. As a result, they food sources are reduced. Giraffes seem to thrive in areas where the climate is very hot. They also enjoy wide open spaces that allow them to see around for predator from a great distance. While giraffes graze around for food, they can quickly flee if they need to, so their habitat needs to be one that allows them to move around freely. 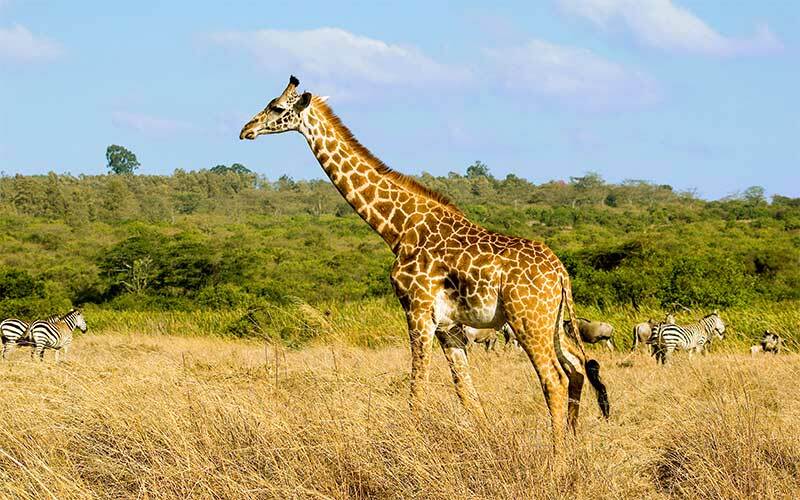 The reticulated giraffe, also known as Somali Giraffa (Giraffa reticulata), inhabits south of Ethiopia and Somalia as well as north-east Kenya. It lives in rainforests, forests, and savannas in these regions. According to estimations around 450 specimens live in zoos around the world being one of the most common species found in these facilities. Giraffe in their natural habitat. The South African Giraffe (Giraffa giraffa giraffa) or Cape giraffe, inhabits the north of that country, south of Botswana and Zimbabwe, and also southwest Mozambique. About 12,000 individuals are currently living in the wild and around 45 in captivity. 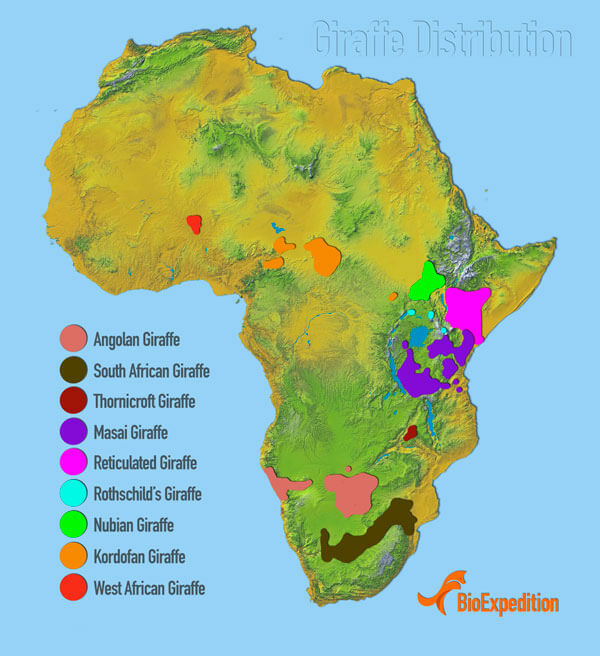 In the case of the Nigerian giraffe or West African giraffe (Giraffa camelopardalis peralta), its distribution is limited to the southwest of Niger, and a few more are in natural reserves and national parks. It is in danger of extinction, and there are only around 300 individuals in the wild. It lives in the Niger River basin and the highlands near the rural community Kouré, located 60 km east of Niamey, the capital of Niger. If we go to South Sudan or southwest of Ethiopia, we can find the Nubian Giraffe (Giraffa camelopardalis camelopardalis). Very few individuals live in zoos, and in the wild, it is unknown exactly how many survive but is estimated to be less than 250. The Angolan giraffe or Namibian giraffe (Giraffa camelopardalis angolensis) dwells in the north of Namibia, and there is another population in the southwest of Botswana and Zambia, as well as western Zimbabwe. It lives in savannahs and shrublands. Some live in protected areas such as the Etosha National Park in Namibia. Their population in the wild is less than 20,000 individuals, while in captivity only about 20 are preserved. Another subspecies of the Northern giraffe is the Kordofan giraffe (Giraffa camelopardalis antiquorum). A giraffe that inhabits the north of Cameroon, southern Chad, Central African Republic and only a few survive in the west of Sudan. In zoos, there are around 65 and in the wild nearly 3,000. The Angolan giraffe (Giraffa camelopardalis angolensis) lives in the north of Namibia. It also dwells in the southwest of Botswana and Zambia, as well as western Zimbabwe. It lives in savannahs and shrublands. Some inhabit protected areas such as the Etosha National Park in Namibia. Its population in the is less than 20,000 individuals, while in captivity only about 20 are preserved. 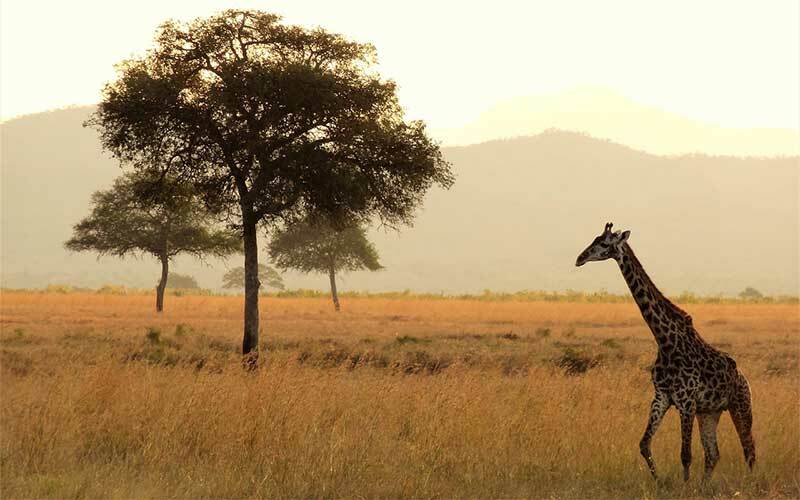 The Rothschild’s giraffe (Giraffa camelopardalis rothschildi) has a distribution that extends through Kenya and Uganda. Its existence in Sudan is uncertain. In the wild, some estimations show that there are only about 700 still alive and in zoos more than 450, an alarming number. The Rhodesian giraffe (Giraffa camelopardalis thornicrofti) has a very limited distribution, since it only inhabits east Zambia, specifically in the valley of Luangwa, where the landscape has abundant vegetation and a high biodiversity of fauna and flora. Less than 1,500 survive in the wild, and there are no confirmed records of Rhodesian giraffes in zoos. Giraffes seem to adapt quite well to a variety of environments as long as they meet their basic needs, that is the reason they are so common in zoos.